Special Offer: Switch to Qrimp from WebOffice and we'll match Webex WebOffice's current pricing plan. If you're one of the hundreds of thousands current customers of WebEx WebOffice and switch to Qrimp, we will offer you the same pricing levels WebEx WebOffice is charging customers today. This is not an offer for a year or an introductory period like some of the other offerings you'll see. It's what you'll pay for the members you have now as long as you're our customer. All that is required is that you're currently a WebEx WebOffice customer. The WebEx WebOffice End-Of-Life is November 2014. If you need to migrate from WebEx WebOffice, we are collecting a list of differences between WebOffice and Qrimp and will update this blog post with a link to our migration help files. You can learn more about the process of migrating from WebOffice to Qrimp by visiting our blog post on Moving from WebOffice to Qrimp for New Customers. We have a great track record of making the same offer in the past with our alternative to Coghead and for customers switching from DabbleDB when they were acquired by Twitter. If you're like any of the many other customers we've already migrated from WebOffice, you're probably wondering if all your data can be imported into Qrimp quickly and easily. YES it can! We work with you to backup and export your data, copy it to our servers, and import it for you. We've migrated millions of records and gigabytes of files and documents. It doesn't matter if you have 10 records or 100,000 records, we can import all of your exported data for you quickly and easily. For a complete list of data the WebOffice backup utilities export for you, please review the WebEx WebOffice End-Of-Life resources. We have noticed that some of our customers' data inside WebOffice has not been backed up by their utility. For example, tasks must be exported by each individual member of your system as members can only see tasks they have created or to which they have been assigned. If you need to get data out of WebOffice that is not backed up by their utility, please let us know when you sign up so we can make special arrangements. Notice how in this example we are migrating all the databases from WebOffice. We even migrate your attachments, documents, and link your tasks and activity logs to the original record. Our import process properly finds, unzips, and attaches your existing file uploads to their records. No need to download and reupload everything! WebOffice won't export your record numbers automatically, but we can find the ID of those records and use them to integrate your database relationships when you migrate over to Qrimp. This keeps your data whole and complete. In the screen shot below, you can see how we are finding the primary keys for imported data. The Primary Key uniquely identifies the record so we know which activity logs and tasks are assigned to the exact record. In this step of the import process, we are finding "Foreign Keys" in your database. The Qrimp import tool compares all of your field values to all of the other field values to see if that data may be linked in some way and with a single click, makes the full database relationship join. That may sound technical and even a little bit scary, but don't fear -- we take the pain out of the data migration process for you! Once we have found the foreign key references between your main database and the tasks and activity logs, we create a menu right to those tasks and activities under the main database menu. They are very easy to find and get to -- maybe even easier than WebOffice. If you noticed the Feedback tab -- extra points! You can use that to send us notes about the imported data or request changes to how the data appears on your screen. Create Custom Views Like in WebOffice too! We know you want to move over to Qrimp and keep a familiar WebOffice like interface. While there are some differences between Qrimp and WebOffice -- of course -- we've made it easy for you to create custom views in Qrimp using screens that are very similar to the ones you're using now in WebOffice. We've gone the extra mile to give you access to your data like you're used to. We want your business and we know moving to another system can be a painful experience. We want to take some of that pain out and replace it with an even friendlier and easier to use system that you can trust to be around and support you and your company's needs into the future. We've seen systems like WebOffice come and go for almost a decade now and we'll be here long after some of those other alternatives have dried up and blown away! Check out these screen shots of our WebOffice-like custom view builder! When you're looking at your data, just click add a new view in the view by drop down. That takes you right to the custom view builder. Looks pretty familiar doesn't it? Sorting and grouping looks the same too, right? Some have told us the filter section is even easier to use than WebOffice! We think you'll agree that getting your data into Qrimp is easy and getting to your data in Qrimp is made a lot easier -- because we've gone the extra mile to win your business! If you switch to Qrimp you can look forward to a lot of great features you don't get with Web Office. Before we get to that, here's the real selling point: We eat our own dog food. Everyone at Qrimp has a personal site they host on Qrimp. 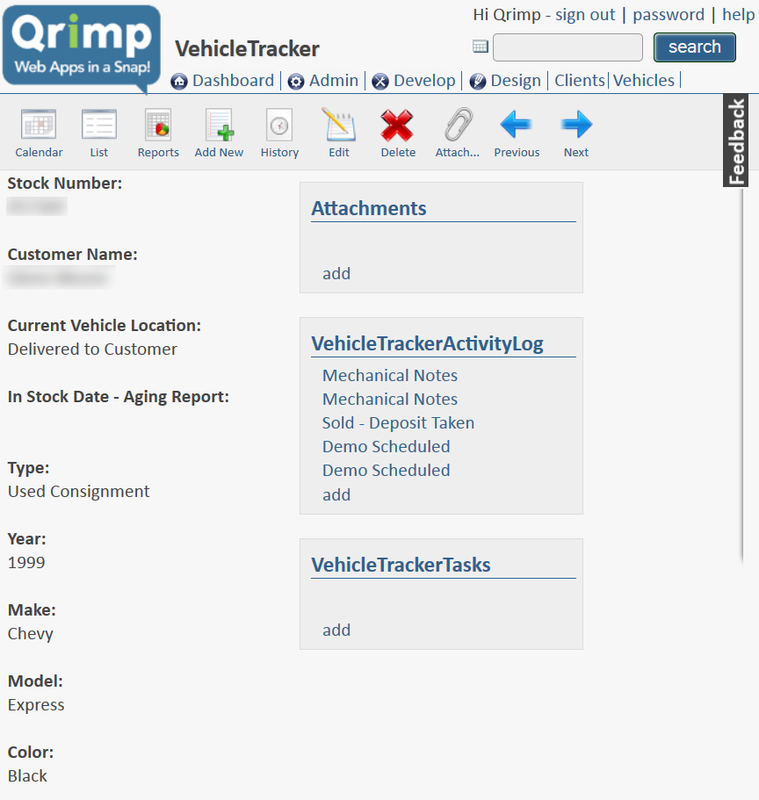 We use Qrimp for our invoicing, content management, calendars, tasks, and more. We also run several SaaS products on top of Qrimp, similar to what you may be doing with WebOffice now. Software is our life. We built Qrimp to make building software easier and better -- we use Qrimp every single day -- period. We aren't going to end-of-life Qrimp, because doing so would end of life every website we have, every SaaS we offer. We aren't like Cisco and some of our competitors where the web database part of the business is a distraction. Qrimp is our life. We aren't in this for a quick flip. We aren't interested in selling our company, because Qrimp is the platform upon which we are going to build every web database we are ever going to build. There just simply isn't anything better. If you're considering alternative web databases, ask them if they run their entire business on their product. If they don't, walk away. At Qrimp, we run everything on the Qrimp Platform, so Qrimp has to work, reliably, every day. We plan to have this company forever. No interest in selling out. We have no debt. No venture capital investors looking for an exit. Our only motivation is happy users, both of the Qrimp platform and of the products you build on top of it. We have 100% focus on that -- on you. We love Qrimp and we think you will love it too! Keep reading to learn about some of the awesome things you can do with Qrimp! You can run the Qrimp platform on servers you own and operate anywhere in the world. If your network is down and you can't get to the internet or you just want the flexibility of hosting the Qrimp platform for your app on your own hardware, we can set you up with an installation of Qrimp. All you need is a Microsoft Windows Server with SQL Server 2005 or better and IIS 6.0 or higher. The advantages are that you control the hardware and are immune to end-of-life. If we were to decide to shut down the business -- which we couldn't imagine doing -- or a bomb fell on our office -- also highly unlikely -- your system would still operate without us. The disadvantages are that you are responsible for keeping the servers up and running. There are always pros and cons, but if you want to run Qrimp On-Premises, we can help and we are happy to discuss the pros and cons in more detail with you to see if it is a good fit. If you create similar Web Office instances for lots of different customers, you can use Qrimp to clone an app from one client to another. Or setup a base application and then use that as a template for future apps. You can set up wildcard subdomains and allow new clients to signup very quickly and see what the base app looks like and offer a free trial period with almost zero overhead to setup a new customer. You can then customize the app, or let them, on a client-by-client basis without having to force other clients to use the new features. Sometimes it can bother clients to have an app that is getting more and more features they don't want. If you want to give all your customers new functionality, you can use our deployment tools to copy database tables, reports and more to clients who want it. We can set you up with your own domain where each of your clients or apps have their own subdomains. Each new app gets a clone of the base app for that domain. You can even run multiple domains on Qrimp, each with a unique base app. Change the logo, user groups, dashboard portals and more and when your customers sign up for your service, that's what they'll see. 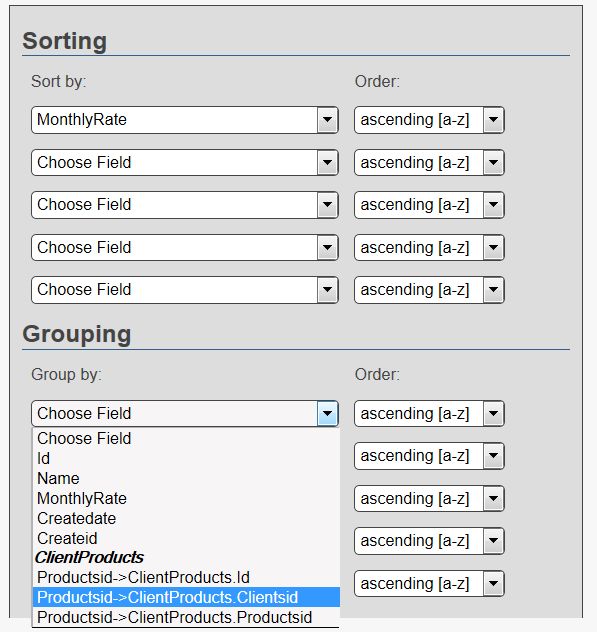 You can control which groups see which fields in the database very easily. Here's a screenshot of the interface. In the shot above, where there is a checkbox, the group on the left can see the column listed above. You could restrict SSN's from all but HR. You can even use data masks to hide all but the last 4 of the SSN from people in HR, so our detailed approach to security goes even farther than showing and hiding fields from different groups -- you can hide data within a field too. Here's a screen shot of our query builder that lets you use standard SQL Syntax to create customized reports from across any database table in your system. Click for a full size image. You can create queries like this with point and click simplicity and the INNER JOINs are built for you automatically. If you save the query, you can secure access to it by user group. 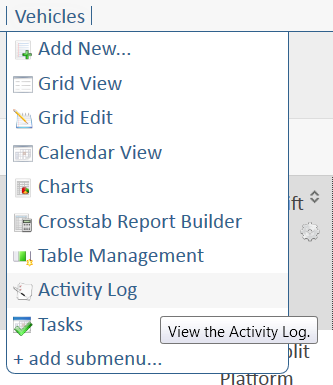 Then create links, dashboard portals, or menu items directly to the data in the report. You can even build charts on data in custom queries bringing data visualizations within your new Qrimp apps to a whole new level! We are told over and over that we have the best customer support in the industry! If you need help with your Qrimp app, we are super responsive. Email us anytime. During business hours, we can get most issues answered or otherwise resolved the same day -- sometimes just within minutes. Feature requests may take longer, but we'll start a conversation about what you need very quickly and start to work almost always right away. You can also use the feedback tab we mentioned before to communicate with us. That way we know exactly which screen you're talking about when you leave the note for us and we can keep track of which tasks have been complete and which are still in progress. Initiate a backup in WebOffice. You can do this, or you can create an admin account and we will do it for you. We copy your exported files to our cloud. We run the import tool you can see in some of the screen shots above. We get on a web based meeting with you, walk through the imported data and make changes as you desire. If you like what you hear, signup below. We can walk you through Qrimp on a live one-on-one webinar or create a sample app you can use at no cost for 30 days to see if Qrimp is a good fit. We are working with customers on a first come, first served basis, so please sign up right away if you'd like to take advantage of our migration services. Again, we are very sorry that you have to go through this. Our mission in life and as a company is to never require our customers to experience this kind of hardship. Never having to go through such a forced migration is part of the reason we built Qrimp in the first place. It's in our core and our commitment is to the life of the platform -- forever. Not a few years, not until we can exit, not until the board of directors says we need to focus on some other business -- web software is our business -- and Qrimp is the platform that ties them all together. We hope you will strongly consider our offer. We'd love to give you a webinar tour of the product and talk more about your needs. We'd like to make the transition to Qrimp as smooth and seamless as possible. We know what it takes.